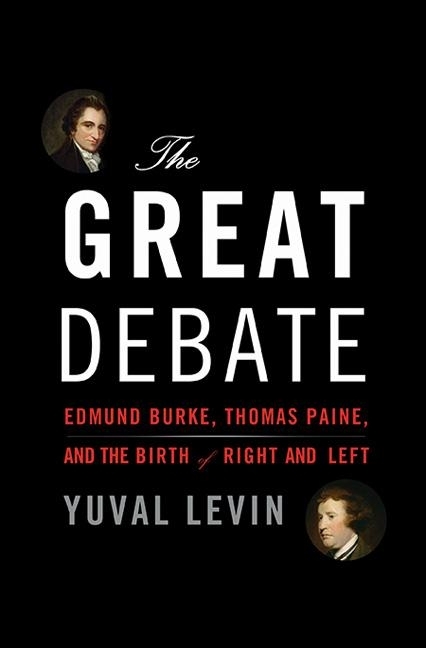 I recently read Yuval Levin’s new book, The Great Debate: Edmund Burke, Thomas Paine, and the Birth of Right and Left, and found it remarkably rich and rewarding. Though the entire book is worthy of discussion, his chapter on choice vs. obligation is particularly helpful in illuminating one of the more elusive tensions in our social thought and action. In the chapter, Levin provides a helpful summary of how the two men differed in their beliefs about social obligation and individual rights. How ought we to relate to our fellow man? 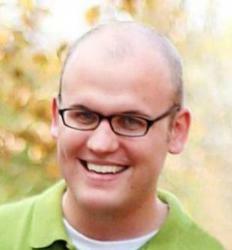 What preexisting obligations do we have to our neighbors? How do those obligations come to be? What role ought the State to play in guiding or intervening in the social order? For Paine, Levin explains, society is a “means to enable choice, or the freedom to shape our own future uncoerced—a means to the radical liberation of the individual from the burdens of his circumstances, his given nature, and his fellow man.” “The right to choose,” Levin paraphrases, is “the end toward which we aim in politics.” Or as Paine himself puts it: “The right which I enjoy becomes my duty to guarantee it to another, and he to me, and those who violate the duty justly incur a forfeiture of the right.” We choose our obligations, and y’all best let Paine choose his. For Burke, however, this lopsided emphasis on choice amounts to “a fundamental misunderstanding of the human condition,” as Levin summarizes: “The most essential human obligations and relations—especially those involving the family but also many of those involving community, the nation, and one’s religious faith—are not chosen and could never really be chosen, and political and social life begins from these, not from an act of will.” We may think we can escape or subvert certain obligations, but for Burke, they are “nevertheless binding.” Therefore, in structuring our society and acting therein, we ought not pretend otherwise. We have obligations to mankind at large, which are not in consequence of any special voluntary pact. They arise from the relation of man to man, and the relation of man to God, which relations are not matters of choice. On the contrary, the force of all the pacts which we enter into with any particular person or number of persons amongst mankind, depends upon those prior obligations. In some cases the subordinate relations are voluntary, in others they are necessary—but the duties are all compulsive. Such differences have interesting applications across a variety of areas, but as it pertains to economics, these ideas can play out in peculiar and counter-intuitive ways. For example, Levin explains that although Paine and Burke both had “high hopes for capitalism,” each was driven by “very different notions of what it would mean for society,” as well as “what material obligations citizens had toward one another.” Indeed, much like today’s conservatives and libertarians, who often express their economic proposals using similar rhetoric, whatever surface-level agreement that existed between Burke and Paine was driven by and directed towards entirely different ends and ideals. Burke’s support for largely unimpeded trade and industry began from roughly the opposite corner. He argued that government manipulation of the economy could be profoundly disruptive to the social order because it involved gross manipulation of very complicated economic and social forces that are almost inevitably beyond the understanding of legislators. Even in its own material terms, he argues, the economy functions best when left to itself, referring in one essay to “the laws of commerce, which are the laws of nature, and consequently the laws of God.” A free economy, as Burke saw it, would help sustain the stability of society and therefore its wealth—some of which could (and should) then be used by the wealthy to help the poor. Levin keenly observes that although Paine’s way of thinking sounds more libertarian, it was actually he who went on to support certain forms of wealth redistribution (what we today would call “welfare”), whereas Burke remained steadfast in arguing that care for the needy remain a private function. Although Paine surely encountered plenty of “traditional” arrangements in need of toppling (e.g. hereditary rule), and though unleashing choice is bound to do plenty of the necessary dirty work, with choice and human reason alone as its drivers, Paine’s framework was eventually cramped by its own arbitrary assumptions. Alas, in Paine’s narrow quest to amplify choice for all, he eventually came to view poverty as just one more obstacle on the path to free choice — one that we cannot rely on unbound individuals to fulfill. “It is only by organizing civilization upon such principles as to act like a system of pulleys, that the whole weight of misery can be removed,” Paine writes. “In all great cases it is necessary to have a principle more universally active than charity; and, with respect to justice, it ought not to be left to the choice of detached individuals whether they will do justice or not.” For Paine, the question about from where poverty actually springs becomes less important than how poverty impedes human will. Likewise, amidst a nation of individuals not bound to any moral or transcendent obligations (through his view), the question about where responsibility and obligation ultimately rests can point to no one but the State. …Burke, meanwhile, believed our obligations are functions not of our right to choose but of our deeply embedded place in the social order. Each of us lives in a particular relation to society, which carries with it both duties and privileges, and society will only function well if all its members meet their particular obligations. The care of the poor is surely among these obligations, but the duty falls to the rich, not to the state acting on behalf of all, because it is not something the state could do without causing even greater harm. Precisely because Burke draws a less stark distinction between society and government—treating both as described by the social contract, which is a partnership in all things—he also has a more limited notion of the role of the government. This isn’t to say, of course, that anyone who values choice above all else will inevitably view poverty (etc.) the way that Paine eventually did, but rather that making an idol out of mere autonomy and “human reason” offers no foundation for a flourishing society. Though Burke bears his own tendencies to over-elevate order, tradition, and stability in and of themselves, unlike Paine, his framework recognizes the complexity of human needs and relationships — a feature that’s crucial if we’re to orient ourselves toward the bigger picture. We can and should elevate the various goods that come from individual rights and free choice — there are plenty — but if we attempt to detach such choice from the deeper transcendent obligations that bind us together, our notions of “freedom” will dilute accordingly.